There are currently 33,774 users on this website. 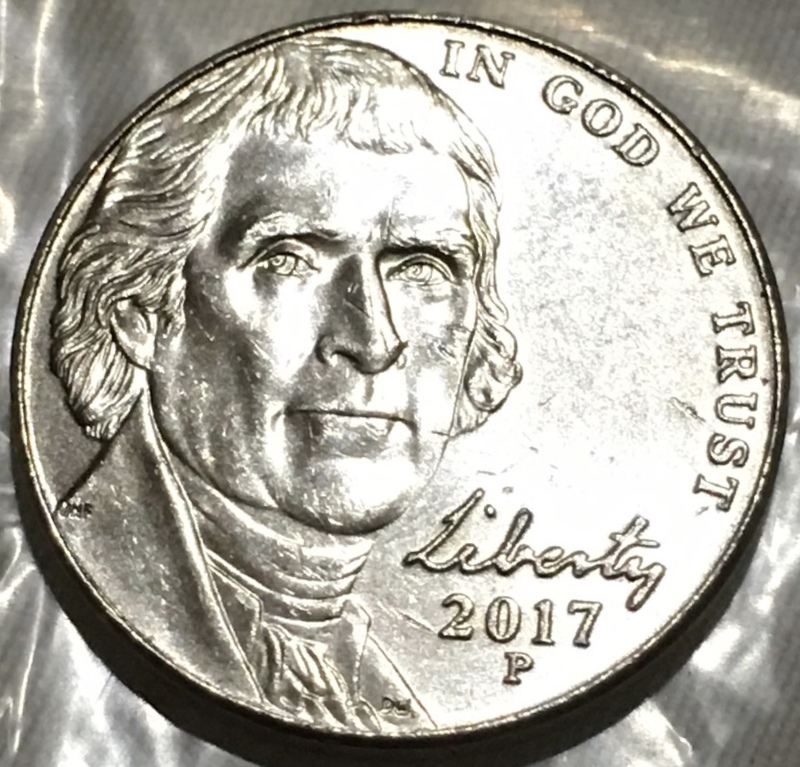 2017 P Jefferson Nickel. Help Identifying Error. 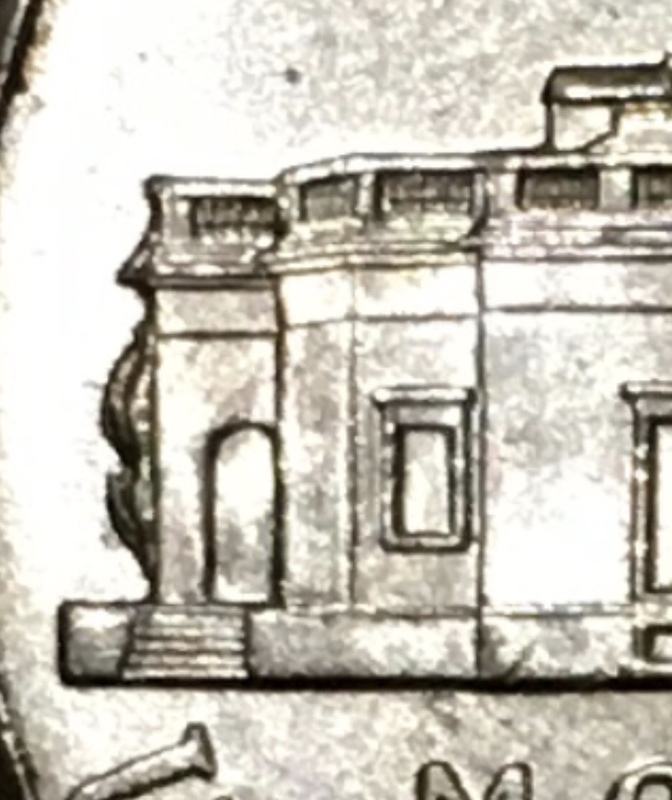 Came across this coin and I noticed that on the reverse on the sides of the building theirs extra material is what it looks like. All info is appreciated ! 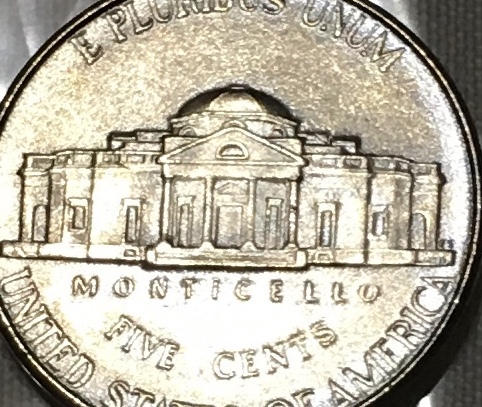 This photo is an example of a nickel without the extra material on the sides of the building. Interesting, pretty sure those are two die chips you got there. Cool find! Those are called Die Chips. @Claracoins, first welcome to CCF. Second, yes I agree with the others that those are die chips. Interesting. 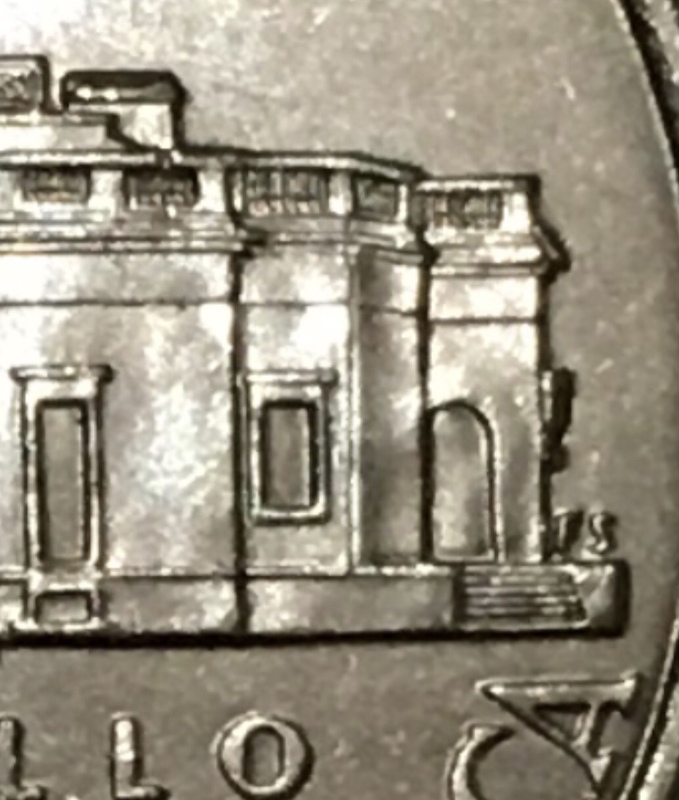 The one on the left appears to be a known Interior Die Break, listed as IDB-5c-2017P-01R on cuds-on-coins. The one on the right is extremely interesting. 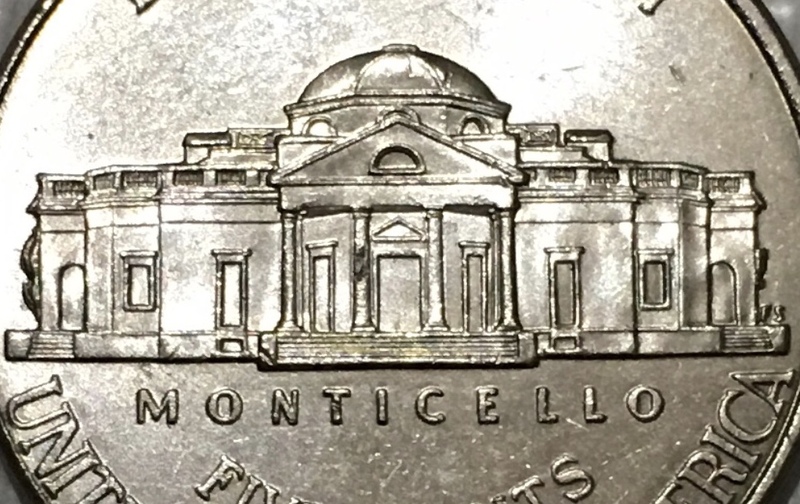 It would help to see a better closeup of that portion of the coin. The one between the stylobate and the designer's initials looks like a small die chip. You should consider submitting photos to J.C. Stevens for his review. It might earn a listing.